the food i had in cebu deserves a separate entry altogether, and the text and images that follow will illustrate clearly why. 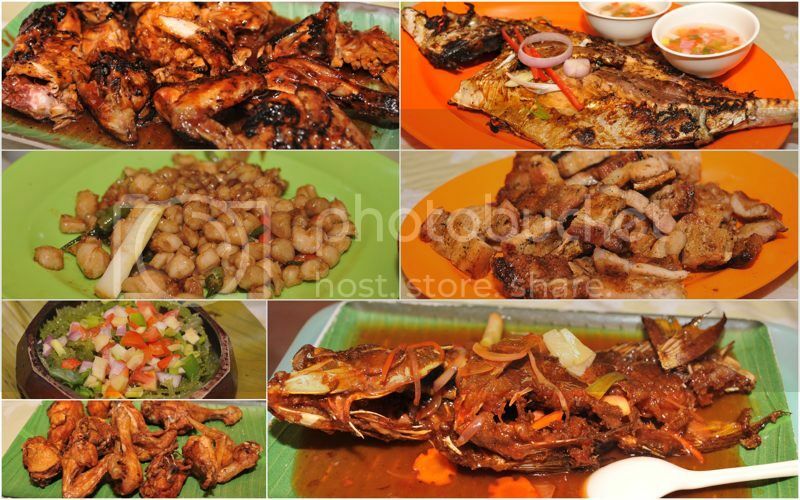 although it’s more of a tourist destination than a place for foodies to converge, the original sutukil in mactan island is said to have originated the market-to-kitchen-to-table concept. not far from the lapu-lapu shrine, a number of establishments offer open-air seating with views of mactan island’s mangroves. at each of the restaurant’s entrances are displays of the day’s freshest catch: many-colored fish of all sizes and shapes and crustaceans whose pincers are tied crawling on wet tiles. 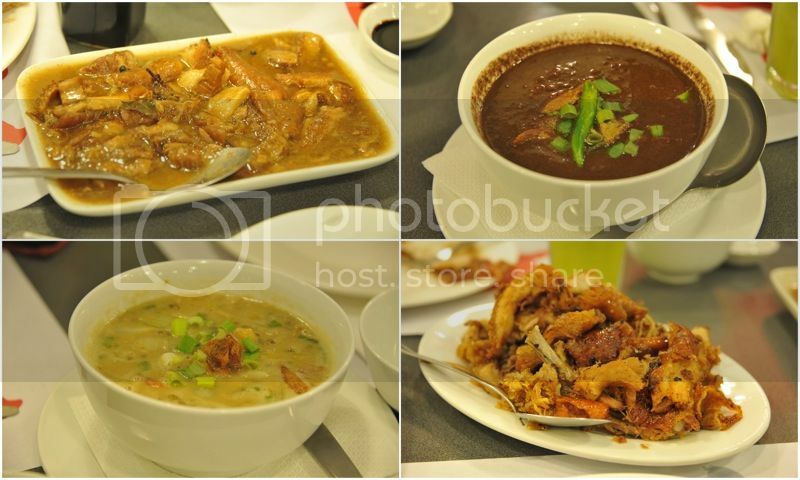 of course the places offer more than seafood: there’s also an assortment of poultry, beef, and pork dishes available, all of which are cooked, sometimes not as skillfully as one might expect from seaside in macapagal avenue or the dampa in farmer’s market, and following templates that they actually very subtly dictate to you: “lami ni kung butangan ug chili sauce”. so although you think you decide what you want to eat, they actually decide what you end up having on the table. besides, it’s not like they can whip up very complicated dishes. we managed to eat at sutukil twice: pre- and post-race. on both occasions roy requested that i take care of ordering the food. there initially was apprehension about eating in sutukil, due to some unverified reports about racers suffering from food poisoning. although we always had more than we could handle, i found that the food in sutukil was unreasonably expensive, considering the limited skills of the cook, and the less than stellar ambiance of the restaurants. 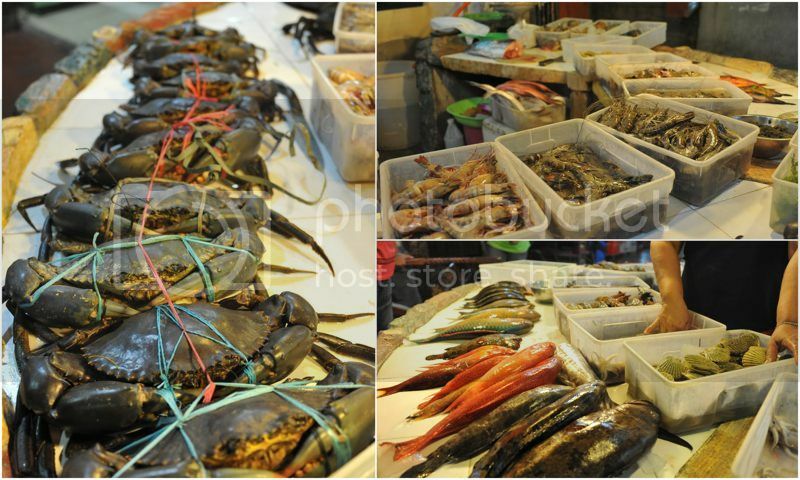 besides, unlike in farmer’s market or seaside, each restaurant had a proprietary wet market, so choices were limited. now that i’ve had time to chew on it, i actually wouldn’t recommend eating at sutukil unless you just want to complete your survey of cebuano cuisine. 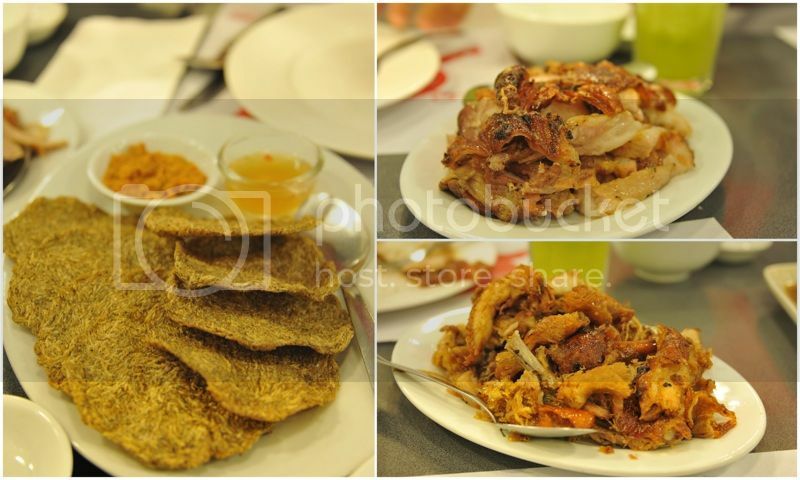 another thing that cebu is famous for is its lechon. i remember the first time i ate at CNT some years back. i very innocently asked for mang tomas, and the server looked at me with derision and said: their lechon required no sauce. she offered me vinegar instead. and then last year, mr. marketmanila served anthony bourdain slices of lechon which the host of “no reservations” described as the best roasted pig he’s ever had, ever. based on that recipe, the zubuchon franchise was born: restaurants serving a variety of dishes all based on the now famous quote from the TV gourmand. we descended upon the zubuchon in mango, which was apparently the largest branch. the crew was very helpful in making us decide what to order: basically everything. we had the zubuchon, the boneless belly zubuchon, the pritchon, the zubuchon paksiw, the monggo with zubuchon bits, the zubuchon dinuguan, and just to even things out, we also ordered saguyon, which are deep-fried discs of really tiny fish found only in a lake mainit in agusan del norte. i would also highly recommend the kamias shake, which, so i am told, has some slimming properties. i don’t want to take anything away from mr. bourdain and the depth of his experience. nor do i wish to offer conjecture as to the quality of the lechon offered in zubuchon and its faithfulness to the original recipe that mr. marketmanila conceived. but i’ve quite frankly had better lechon. which does not mean that i won’t recommend zubuchon. in fact, i went home with a kilo. it’s possibly the best commercially-available lechon i’ve tasted -- it certainly trumps all the lechon that you’d find in and around manila, particularly those that claim to be cebu lechon, and might actually be more flavorful than CNT, which i understand, has declined in the last few years. but nothing beats lechon lovingly turned by an attentive and devoted roaster. this is what mr. bourdain had when he visited cebu, and i fear it might not be the same when you suddenly decide to roll out roasted pigs on a larger scale. in the food industry, quality is the first to suffer when you mass-produce. 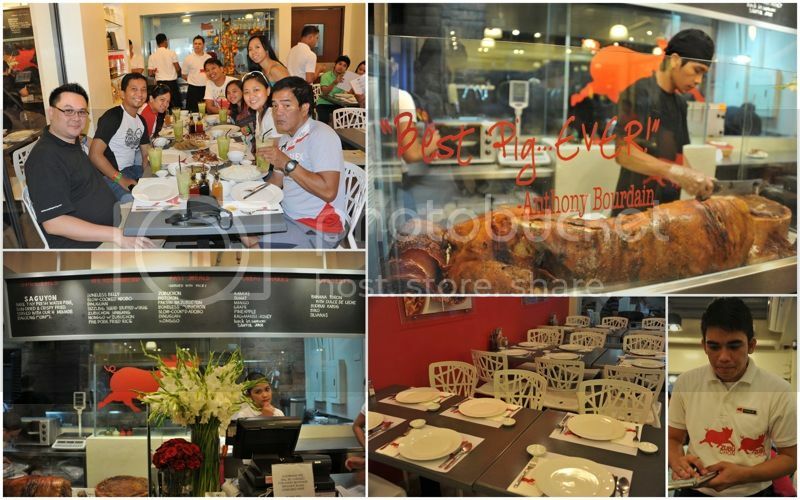 and in the case of zubuchon, theirs was not a sustainable enterprise when you supply three restaurants teeming with brisk business, and when you actually accept orders to fly the lechon to manila. cebu is also obsessed, at least it seems to me, with evolving a culture all its own, but always looking to what manila is doing, particularly in how the capital is making the dining experience more interesting and enticing. although i wasn’t quite as hungry as i usually am, our athletes wanted to recover the calories they burned during the race, so meat was in their minds while we were thinking of what to eat. and when you plan dinner immediately after you’ve finished lunch, it can only mean your brain can’t function without thinking of food. 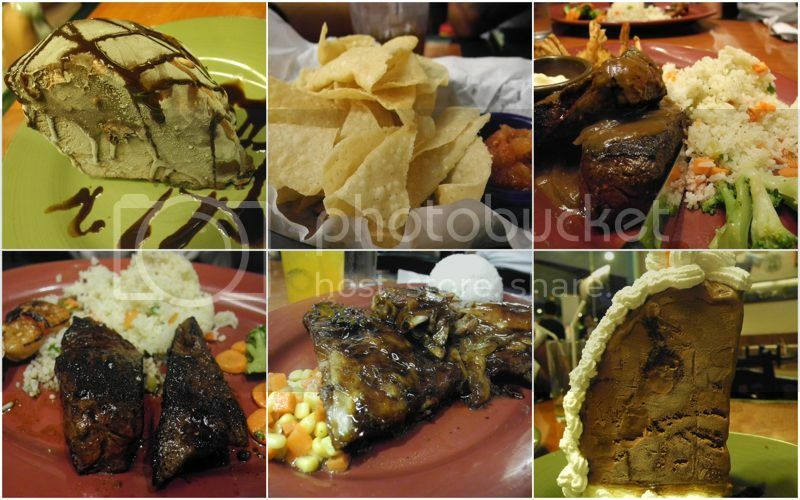 so this brought us to casa verde in the walk, located in cebu’s IT park. we had to wait almost 20 minutes to be seated, and while we watched others eat, we were already salivating after having scanned the menu. i haven’t eaten here before but ging had given a rave review, so i was extremely excited to order one of the more popular beef dishes. it was good enough steak, i would say, although for some reason, i could not finish my plate. i had generous helpings, including tasty side dishes which perhaps i shouldn’t have bothered eating if i wanted to gorge on the meat. but what clearly overwhelmed us were the desserts. we only had two slices, and i was trying to imagine the size of the entire cake. both had tremendous amounts of ice cream, and we wiped both plates clean despite still burping from our unfinished dinners. my survey of cebu’s cuisine was completed by two buffet breakfasts from the marco polo cebu and the tides at shangri-la mactan. the circumstances surrounding those meals are tainted with some comedy. i had bunked on all the nights i spent in cebu with my friend CY, and by some stroke of luck, if not some deception, i was able to sneak myself into the hotels’ restaurants. i can’t say which meal was more satisfying. perhaps i really just had such a high expectation of shangri-la that i somehow think i walked out of marco polo rubbing my tummy with approval. but seriously, any free meal, whether in a five-star hotel or at a neighborhood carinderia, always hits the spot. so thank you cebu for the additional poundage during a weekend when the most exercise i got was walking from the shangri-la’s lobby to the farthest room on the 8th floor of its ocean wing. thinking of all the meals i had there makes we want to add more kilometers to my weekly quota.